If you follow Chic Vintage Brides on Instagram, then you might have already caught a glimpse of the gorgeousness in today’s post (this teaser quickly became CVBs most popular Instagram post EVER!) but just in case you missed it or haven’t heard, Claire Pettibone (whose latest collection stole all of our hearts on Monday) has collaborated with CVB fave Trumpet & Horn to design a collection of engagement rings. And well, they are everything you would expect from such a collaboration and so much more! Made up of 18 utterly romantic and truly unique engagement rings and wedding bands, designed to compliment each other as a stunning set; it is a collection that perfectly encapsulates Claire’s enchanting feminine, and ethereal design aesthetic and Trumpet & Horn‘s dedication to all things vintage. Claire’s signature design style of an unexpected hint of colour is apparent throughout the collection, with an array of dazzling coloured stones and luminous opals, artfully arranged to breathtaking effect, alongside sparkling diamonds, in heirloom-inspired settings of white, yellow and rose gold. 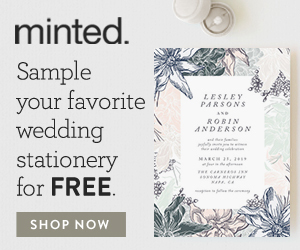 Making it a collection that will resonate with the stylish modern bride, and uniquely whimsical bride, as well as all of us vintage lovers and devoted Claire Pettibone admirers! So if you’re looking for an engagement ring with a little ‘je ne sais quoi’, look no further!….. The vibrant, beautifully cut centre stones, at the heart of each ring in the collection, have all been responsibly sourced from locations around the world, and meticulously hand picked by Claire and the gemologists at Trumpet & Horn to get the perfect color, shape, and price point for each design. Adding to just how special this collection is, each ring comes packaged in a gold-leafed velvet box, paired with a heartfelt note from Claire herself: “The story of a marriage begins with this ring. May it become her most treasured heirloom, for the history that you share, the love that it inspires, and for the many chapters that you will write together.” How lovely is that?? Aren’t they all stunning? And these are just a few from the collection! Pop across to the special Claire Pettibone section of Trumpet & Horn‘s online shop, for a closer look at every lovely in the collection, and let me know which one is you favourite!…. I thought mine would be Marcelle, but I am completely smitten with Brigitte! I know what’s going straight to the top of my Christmas wish list this year! !